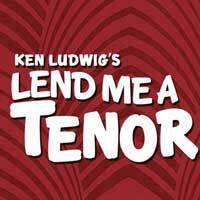 In one of the best modern American farces to hit the stage, a madcap mix of mistaken identity, drug-induced confusion, lustful shenanigans and operatic impersonation will leave audiences gasping for their next breath in Lend Me a Tenor. In 1934 Ohio, the world famous tenor known as Il Stupendo has fallen to a double dose of tranquilizers. The fate of the Cleveland Grand Opera hangs in the balance. Can the company’s young go-fer succeed in impersonating the famed opera legend? And what in the world happens when the presumed deceased star wakes up and realizes the show must go on? Find out what happens next during this hilarious comedy at the Long Beach Playhouse.